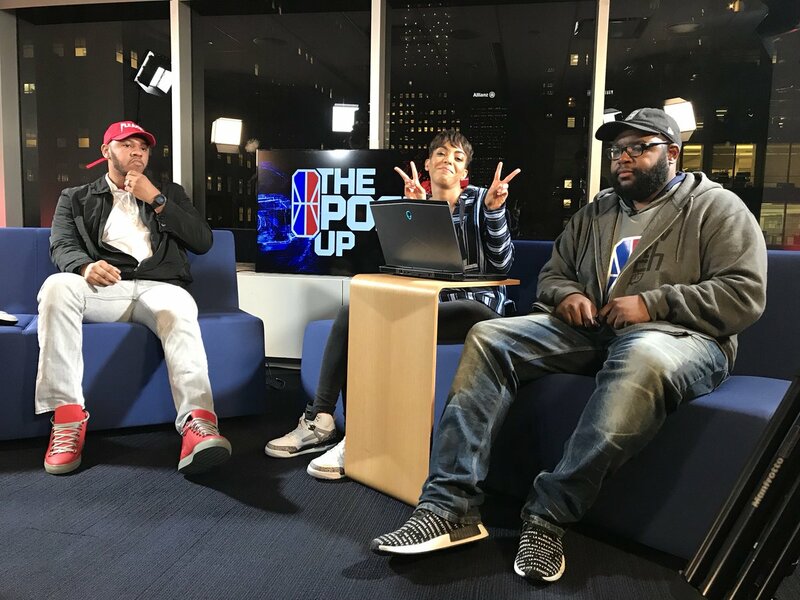 We’re back with a review for the second episode of the NBA 2K League’s bi-weekly Twitch show, The Post Up. Check out the first review to situate yourself before diving into this week’s. This episode definitely demonstrated the positive change that two weeks can bring. The league debuted a new presentation layout, introduced a number of new segments, and—perhaps most importantly—didn’t cut to showing the window at all. The player guest made it, Comp and Frank returned, and league host Phil Visu stood in admirably for Jeff Eisenband. The numbers showed strong improvement, per TwitchTracker. Episode 2 topped out at 3,537 concurrent viewers, nearly three times the peak concurrency of Episode 1. The league’s channel also picked up 156 followers. Most importantly, the show drew 34,029 unique viewers, an exponential increase on Episode 1. That’s due to the show making its way onto the Twitch homepage, where it should remain for every episode. Good to have league news put on the show early. The hosts discussed Hawks Talon GC’s new logo before Skyping in new Hawks Talon manager and head coach Wesley Acuff. It’s important the big news that helps the league’s brand and the brand of teams in the league be front and center; there’s plenty of time in the show for more subjective segments. The First Shake duo made their appearance early and often. Their first segment, the Pick and Roll (really? “The Buddy Buddy Segment” was available) is still, in my opinion, a work in progress. The duo work so well together that I still think it would be best to let them battle it out without any obligation to Erin and Jeff. In fact, I’ll even start keeping a scorecard (It’s Comp 1, Frank 0. Frank had it in the bag after a sustained run of solid insight and then fumbled it all away when he said that Heat Check Gaming will be a sleeper team.) The show did a good job structuring the topics beforehand, but let Comp and Frank run. You don’t need to hit all three topics if they’re flying. The community loves them, and, in the end, that’s the most important thing. Jazz Gaming point guard Compete was phenomenal. He spoke very well, he got into all the games, and he rolled with the flow expertly. Compete was able to easily partake in the show’s lighthearted nature while simultaneously offering real insight and commentary on the league and combine. That’s not an easy thing to do. And he even built FGC member Phil. Once. The gaming definitely works, and I think it will continue to work really well with main host Jeff in studio. Jeff has a lot of experience hosting on the NBA’s own Twitch channel, and so that will only ameliorate the overall host-guest interaction experience during actual gameplay. One big issue, however, was that Compete’s messages were left on while he was playing in the Park. While most were attention-seeking jokes from fellow league players, one particular messenger sent two extremely inappropriate messages. That’s a quick fix for next time—no fuss, no mess. I also really liked the NBA 2K Lifestyle segment. The show did a good job balancing NBA 2K League questions with pop culture questions. I think once the season arrives questions like “who’s playing best” will be better used as serious discussion questions, but questions like “who has the best sneaker game in the league” are really perfect. The pop culture questions are fine; let the guests show off their personalities. I’m not sure Comp and Frank need to be on this segment every week—they’re great at it, and they should be back—but having a week with a full roster doing it, or having league executives on the hot seat, will be good variance and good for viewership. There are still some small things that need work. The commercial cuts can be jarring, and watching an unmoving screen during breaks is less enjoyable than watching highlights. What happened to Action Time? Highlights work even without narration. Music wasn’t always timed perfectly. That’s fine. This is a live show on Twitch; mistakes happen. Some small details really stood out as positive: fading into highlights with Comp and Frank chattering in the background is TERRIFIC, such an underrated piece of minutiae. More of that, please. Overall, a nice step up for episode 2. We’ll see you in two weeks, in the thick of the combine, for episode 3.